Through candidate relationship management, in other words the management of relationships with your potential applicants, you successfully and sustainably engage them with your employer brand. It should support your recruiting measures and save time and money when filling vacancies. In this way, you can even avoid having to use a staffing agency for difficult vacancies. Systematically managed, candidate relationship management offers the potential for your business development if you succeed in generating competitive advantages from this core competence. Relationships only harm those who don't have them. This applies not only to candidates looking for the right job, but also to employers who need to fill their vacancies quickly and cheaply with the right specialists. Almost 25% of new hires are made through personal contacts. Small and medium-sized companies in particular must not miss out on the opportunities offered by candidate relationship management in order to maximize the impact of their HR marketing activities. Candidate relationship management is an employer-driven process designed to build relationships with specific candidates, develop them further, and engage them with your employer brand. Give your prospective employees the chance to develop passion for you as an employer and secure your position as an attractive employer! How do I manage candidate relationship management? With candidate relationship management, you are not looking for a talent for a vacancy, but for a suitable job in your company for a talent. This presupposes that your HR team shows the willingness to constantly search for suitable employees and to always keep an eye on your prospective market. Professional recruiters are also excellent relationship managers. This understanding is important because your potential candidates are less and less looking for the so-called "new professional challenge", but are looking to improve their current professional situation. About a third of employees plan to change their current employer in the not-too-distant future. Determination of requirements: What staff requirements will I have in the next 6/-12/-24 months? Identification of Right Potentials: Which target group do I target? Planning phase: Which instruments do I use to generate leads? Implementation phase: How is the HR marketing mix implemented? Controlling: How do I determine the benefit contribution generated? The basis for candidate relationship management is the creation of a talent pool or a database of interested candidates. These can include high potentials, but in most cases you will use your candidate relationship management to fill positions for well qualified specialists and executives. Interested parties in your employer brand can now come from all occupational groups: Trainees, students, graduates, specialists and managers, but also former interns or employees. You will already know some of the interested parties. However, the greatest potential lies with those candidates who are still unknown to you today. This is exactly how it is finally possible to enter into a dialogue with the highly sought-after, passive candidates. At the beginning, you set up a small portal on your online career page, where the visitors of your career page can register ("convert") and deposit a small profile. The classic functions of Candidate Relationship Management are job subscriptions and career newsletters, as they are also used for inbound sourcing, as well as the possibility of contacting if required ( for example invitations to special events or talent competitions). These measures are particularly attractive for passive target groups, as they already visit your career page today (measure the clicks on your career page), but do not apply even though they are already interested in joining you. The offer of an unsolicited application is necessary, but unfortunately is no longer sufficient. 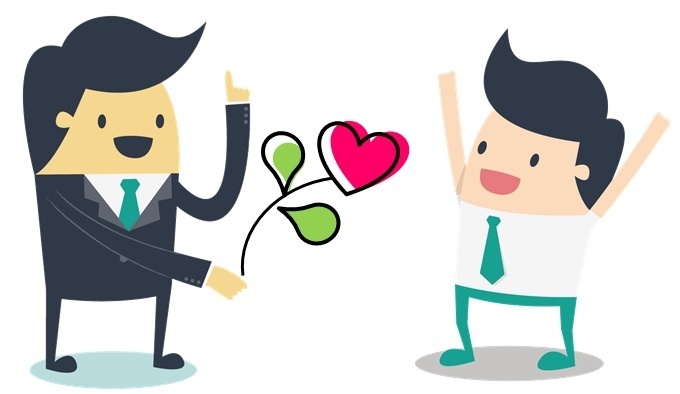 What do I learn from candidate relationship management for my employer brand? Candidate relationship management not only serves to gain faster access to better candidates, but also allows targeted measurements of your employer brand to optimize your branding: Which target groups are you particularly well known with today? Which positions are you interested in? What skills do you have? Does your salary match our job offers? Does the image our prospective employees have of us match our target image? The data you collect in the course of candidate relationship management finally shed light on the measurement of your employer brand. Tip for our customers: Measurements of your employer brand can be found in the dashboard analysis. This is worth knowing, for example, with regard to the question of the distribution of the professional experience of your interested parties. For whom is candidate relationship management worthwhile? Candidate relationship management is always worthwhile because it is an important control instrument for determining your positioning on the job market. In times of a shortage of skilled workers, it is even a considerable risk if you do without this possibility of retaining prospective customers. Candidate relationship management should therefore be part of every modern HR marketing strategy. In summary, candidate relationship management is a sovereign response to changes in the labor market. It provides a valuable complement to existing recruiting activities and is an important tool for building relationships with hard-to-reach candidate segments. Even conclusions about the performance of your strategic employer branding activities are permissible and must not be neglected in practice. Would you like to learn more about candidate relationship management? We will gladly show you best practice examples and concrete implementation in the Talention software. You can request a demo here and someone will get in touch with you shortly. Request a demo now.